We’ve had lots of fun bringing Morph back to screens and giving the classic clips a bit of a polish. We’ve also loved hearing that watching Morph has inspired lots of fans to learn about the art of stop-motion animation and have a go at making their own animated adventures. So, we’ve devised a little creative challenge for you, with a fantastic, truly unique prize up for grabs! We want YOU to step into the role of animator and director and wow us with a new Morph adventure! 2. 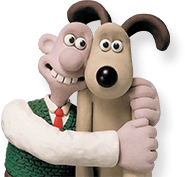 You can download a free trial of Aardman’s Animate It! software to get you started or use a streamlined version of the software with our free app. Animate It! is easy to pick up, plus there are lots of tips you can follow on the Animate It! website. 3. Once you’re ready to share your animation with the world, you’ll need to upload it to YouTube and then email us the link and which category you are entering to GoldenMorph@aardman.com. We’ll be uploading all your videos to our gallery page. 4. Finally, be sure to get your entries to us by 12pm BST on Friday 18th September 2015. All the competition entries will be judged by Merlin and Peter Lord, Morph’s co-creator. 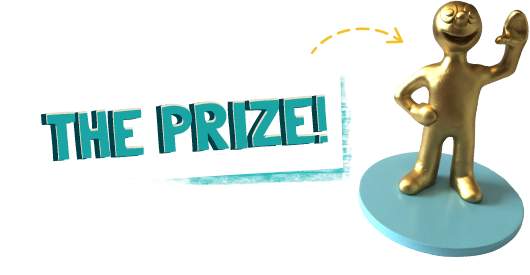 They’ll pick their favourite entries from each age category, with two lucky winners receiving an exclusive golden Morph figurine, created especially for the competition by Aardman’s expert model-makers! The two winning films will also be featured videos on Morph’s YouTube channel for the world to admire! We’ve also created a Morph animation film kit you can download, which includes a guide to making your own Morph model, a storyboard template, special effects, and a cut-out template to make your Aardstand – a must-have for making sure your film doesn’t end up all wobbly! Read full competition terms and conditions.